Making Herbal Medicine for your Horse. A herb is anything that grows in the ground and that is used in food, medicine and perfumery. Why do we process a herb? To make the active ingredient available to us for use, we use different extraction methods to do this. Material above the ground is more easily extracted like leaves, which are made into herbal tea's, tinctures or they are dried and used. Roots and barks are a little bit harder to extract. Roots and barks are mostly dried and processed into powders. You can use them in herbal tea's they just take longer to infuse this process is called a decoction. A tincture is a concentrated liquid herbal extract. It is typically made by soaking herbs and other plant parts in alcohol or vinegar for weeks to extract the active constituents. Alcohol is considered an excellent solvent because it is food grade and can extract herbal constituents (such as resins and alkaloids) that are poorly soluble in water. After a period of weeks, the herbal mixture is strained and the herb parts are removed, leaving behind the concentrated liquid. 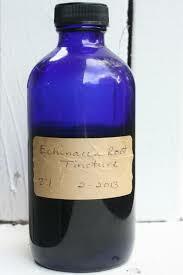 Tinctures can be made from a single plant or a combination of plants. Fresh or dried leaves, roots, bark, flowers, and berries may be used to make tinctures. The plant part depends on the species of plant. Many medical properties are not water soluble (essential oils, resins, alkaloids, etc). The medical properties of herbs in a fluid extract will also get into the bloodstream quicker. They are already made up for quick and easy use. More concentrated than teas, two or three drops of tincture can equal and excel a whole cup of tea. For making your own tincture use vodka or Pure apple cider vinegar, the apple cider vinegar is not all out as strong as grain alcohol but I feel it is the best choice for horses when you are using a tincture. 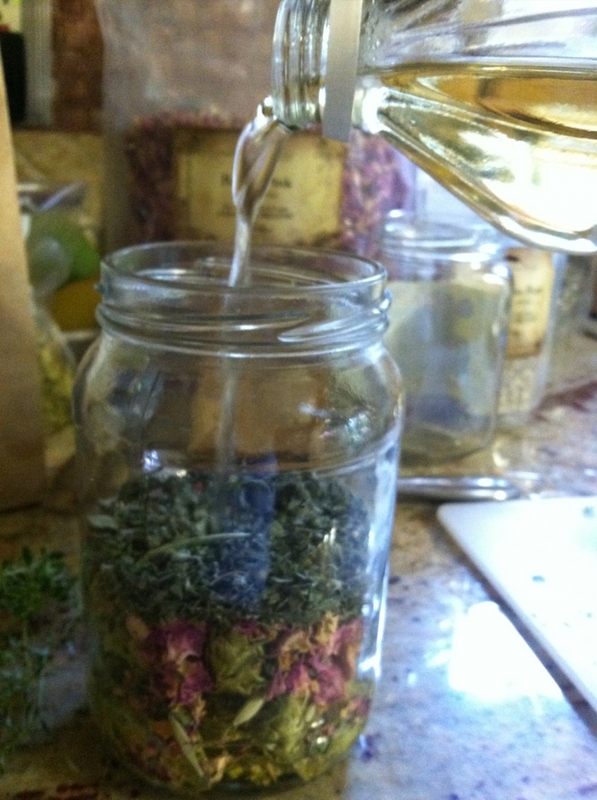 Depending on what kind of tincture you want to make, depends on what kind of herbs you choose. Have you any herbs growing in your garden? maybe its time to take a trip to the garden centre and buy 1 or two herbs to get you going. Has your horse any issues that you would like to address? you can buy dried herbs from the internet to use or try your local health food shop. can you forage wild plants? be sure of what you pick and leave enough for wildlife. Digestive system support- Ginger, chamomile, fennel, peppermint. Nervous system- lemon balm, chamomile, passionflower, lavender. Joint support- Nettles, turmeric, celery seed, willow bark. Immune system- Rosehip, Echinacea, elderberry. 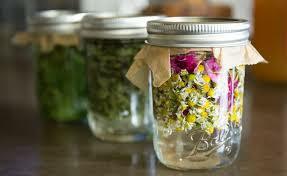 Making herbal preparations should be fun; they should be full of “good energy”. 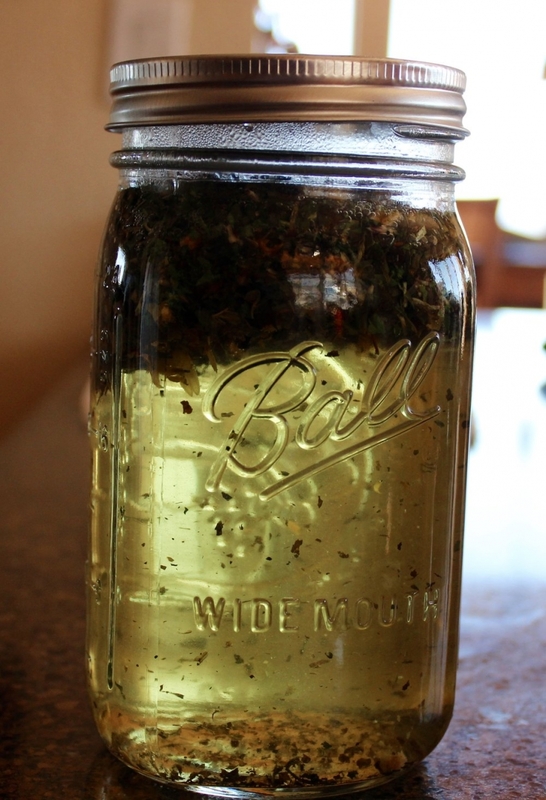 A general rule for making tincture is 4 ounces of dried herbs to one pint of alcohol or cider vinegar if using fresh herbs use twice the amount. 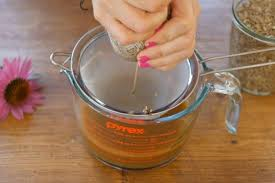 Use glass jars with good lids, you can place wax paper between the vinegar and the lid will stop rust. Keep the container in a warm place for two weeks (minimum amount of time) shake as often as you can. I use the hot press to store my tinctures. The liquid will need to be strained, through muslin or a strainer and then bottled into dark glass and labelled. The potency of your tincture can be improved by brewing by the cycle of the moon. A Sprout a Day May Keep The Vet Away. How Inflammatory is your horses diet? Food Therapy for a Healthy Horse. The power of nutrition in its natural form. Allergy Management Through Food, it's a Gut Feeling. Whole Soaked Oats a Food and a Medicine. How to get the best out of Rosehips!! Neem oil and its wonderful use's. All you need to know about sprouting. Grow your own medical garden.